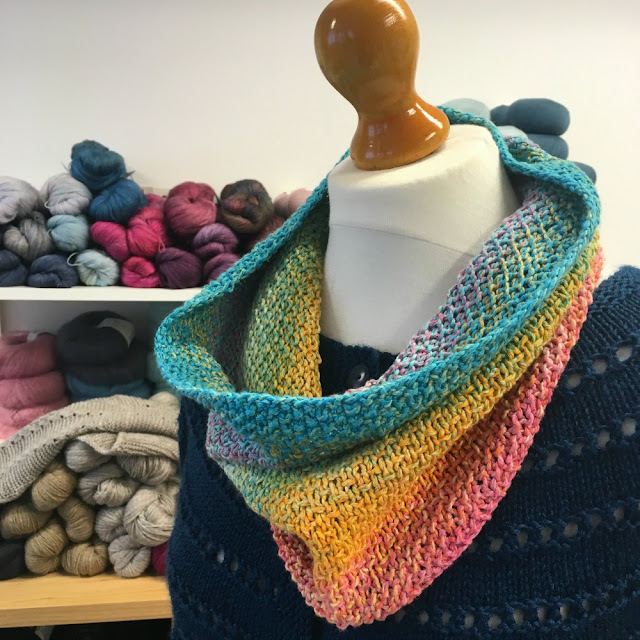 A cowl in our newest cotton - Crazy Zauberball Cotton DK. Pattern is by Louise Tilbrook and it's called Twixtmas - in honour of the period between Christmas and New Year. It's a soothing knit - it uses slip stitches and is knitted on relatively thick needles so it feels weighty in your hands. The Crazy Zauberball is a soft cotton with exciting colour changes and combos. 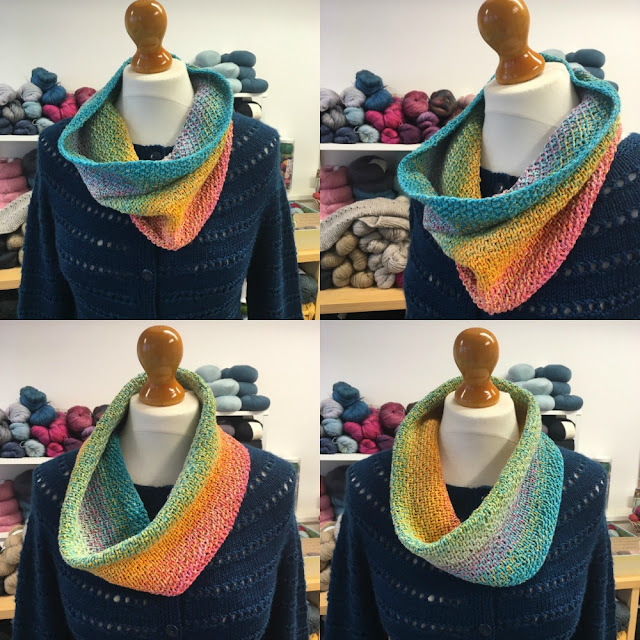 The pattern would work well with any DK, if you prefer something woollier! Yarn and pattern (through Ravelry) available in the shop!